17 May 2018 – Rohingyas are a native, pre-colonial ethnic minority group of Rakhine State of Western Myanmar (formerly Burma), which shares 170 miles of long modern-day borders with Bangladesh (formerly East Pakistan). Therefore, the typical portrayal of Rohingyas, in both international media and international policy circles, as a people who have lived in Burma for generations but neither recognized as natives of Western Myanmar nor granted citizenship, is factually incorrect. They are as “indigenous” as any other ethnic group that is officially recognised by the Burmese state as an “ethnic nationality”. First, Rakhine, in effect, is a colony of the majority Burmese Buddhists, not dissimilar to Scotland and N. Ireland or Wales within the United Kingdom. Second, the majority of the residents of Rakhine are Buddhists who consistently outnumber Rohingya Muslims by 3:1. Third, Rohingya Muslims have more cultural, religious and ethnolinguistic similarities with the adjacent Chittagonian communities in the adjacent Chittagong Province of the old East Bengal of present day Bangladesh while Rakhine Buddhists are closer to the colonizing Burmese majority in ethno-linguistic, religious and cultural terms. Fifth, importantly, unlike China’s southern most provinces and India’s Northeast territories on Myanmar’s borders, Bangladesh is predominantly Islamic. Sixth, the Burmese Armed Forces have, since independence, shared the colonial-era resentment and fear[iv] of people with Indo-Aryan features (people of Indian sub-continent ancestry) and more specifically, Muslims. Since the military rule of 1962, Burma’s leaders institutionalized Muslim-free policies within the military. 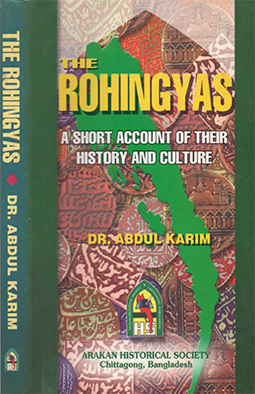 And seventh and finally, the Muslim Rohingyas of Rakhine, with historical, cultural and demographic ties to Chittagong, are first viewed by the Burmese military leaderships as a potential proxy for the State of Bangladesh or trojan horse with an intention to annex Northern Rakhine State. 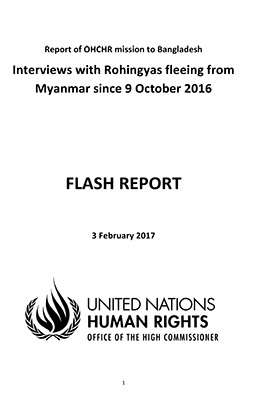 But this is the direct outcome of government propaganda, not reflecting the factual backgrounds about the group, but the effectiveness of decades of official acts of propaganda including erasing and/or denying any official and historical references to Rohingya identity, presence and history in Burma.Why do the Burmese public reject and hate the Rohingya people so much? Until the two bouts of organized mass violence primarily against Rohingya communities across Rakhine State, the public in Myanmar generally were not familiar with the name Rohingya, nor were they cognizant of the fact that there was a people called Rohingya. Instead what the Burmese public learned from the official history textbook about the post-independence national history of Myanmar is that there were Muslims in Rakhine state that waged an armed separatist movement under the banner of “Mujahidins”, whose aim was to join up with the then East Pakistan (and since 1971 Bangladesh). Myanmar military that have had monopoly control over all state institutions with direct and indirect influence over public opinion and sentiment, namely, schools, religious organizations, economic organizations, universities, bureaucracy, and media, succeeded in erasing the word Rohingya from public discourses. 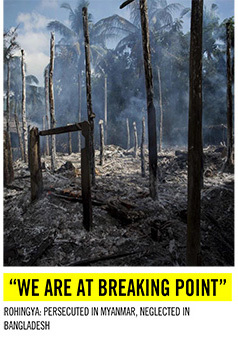 When in June and October 2012, violence in Rakhine state erupted in the form of sectarian conflicts or communal conflicts between Rakhine Buddhists and Rohingya Muslims (as well as other Muslims) it became headlines news, in Myanmar and around the world. Rohingya leaders, activists and organization do not call for secession, or the establishment of a new and independent country or making Northern Rakhine state an annex of Bangladesh. Millions of displaced and deported Rohingyas in Bangladesh and in diaspora, unequivocally wish to return to Rakhine and live as Myanmar citizens. They however, need guarantees of safety, restoration of full and equal citizenship rights, and reintegration into the Burmese society at large, while being allowed to retain their own ethnic identity and culture. A Buddhist humanist from Burma, Maung Zarni is a member of the TRANSCEND Network for Peace Development Environment, former Visiting Lecturer with Harvard Medical School, specializing in racism and violence in Burma and Sri Lanka, and Non-resident Scholar in Genocide Studies with Documentation Center – Cambodia. His analyses have appeared in leading newspapers including the New York Times, The Guardian and the Times. Among his academic publications on Rohingya genocide are The Slow-Burning Genocide of Myanmar’s Rohingyas (Pacific Rim Law and Policy Journal), An Evolution of Rohingya Persecution in Myanmar: From Strategic Embrace to Genocide, (Middle East Institute, American University), and Myanmar’s State-directed Persecution of Rohingyas and Other Muslims (Brown World Affairs Journal, forthcoming). He holds a PhD (U Wisconsin at Madison) and a MA (U California), and has held various teaching, research and visiting fellowships at the universities in Asia, Europe and USA including Oxford, LSE, UCL Institute of Education) , National-Louis, Malaya, and Brunei. He is the recipient of the “Cultivation of Harmony” award from the Parliament of the World’s Religions (2015). Anticopyright: Editorials and articles originated on TMS may be freely reprinted, disseminated, translated and used as background material, provided an acknowledgement and link to the source, TMS: Factsheet on the Rohingya: Group Identity, Citizenship, Persecution, is included. Thank you.